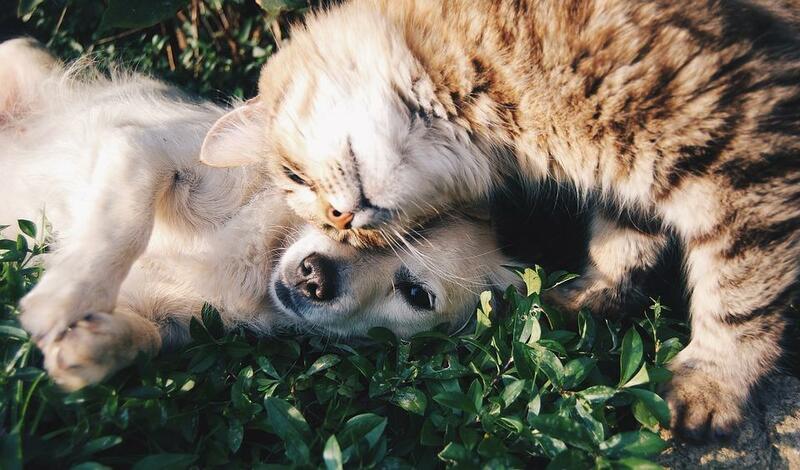 Cat and dog in the grass. A crumb plummets to the ground and is mauled by a crazed animal. Is it a rabid beast? Surprisingly no, just your hungry pet. Eating around our furry companions can be a chore, especially when they’re guilting us with big, sad eyes. Temptation convinces us to give our cats and dogs a little bit of what we’re munching on. Some of the food we feed them, however, might not be very good for them. It can be hard to know exactly what and what not to feed our pets. Here is a list to make it a little bit easier. Alcoholic beverages should not be given to your pet under any circumstances. Hard liquor, wine and beer contain Ethanol, a type of alcohol toxic to dogs and cats. Ethanol toxicity can occur from both minuscule and large amounts of alcohol consumption. Alcohol ingestion can lead to vomiting, seizure, coma and possibly even death. It’s easy to leave bottles opened and spills unattended, but alcohol should be securely stored and any spills cleaned immediately. Pets are curious and will try most things. It’s better to be safe than sorry. A treat we devour on a regular basis can be most dangerous to our scavenging pets. 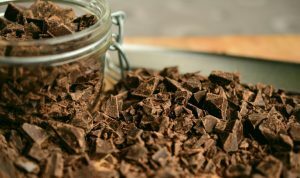 Chocolate contains theobromine, a substance toxic to dogs and cats. Any amount of chocolate consumed should be worrisome. Symptoms include diarrhea, vomiting and anxiousness. It’s easy for animals to acquire chocolate, especially with an abundance lying around during the holidays. Chocolate needs to be safely stored out of the reach of pets. Grapes and raisins are toxic to dogs and can be potentially fatal. The ingestion of grapes and raisins can produce sudden kidney failure and seize urine production. It’s unknown what exactly is toxic within these household snacks, but it is best to keep them out of any canine’s reach. 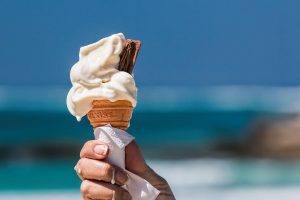 Summer is here which means a certain dairy treat will be consumed more frequently. While we eat and enjoy ice cream, our pets shouldn’t. It is not toxic, yet it lacks health benefits due to the high amounts of sugar. Dogs can experience weight gain as a result of eating ice cream, especially if not regularly exposed to exercise. Weight gain isn’t the only problem. Some dogs are lactose intolerant and experience adverse effects from dairy ingestion. Diarrhea and gas can result from ice cream consumption, an unpleasant experience for both you and your pet. Melting ice cream scoop on a cone. It’s easy to pick cheese off your plate and feed to the family cat or dog when it garnishes most entrees. While cheese is also a dairy product, it’s alright for your pet in moderation. Be careful though because in high quantities cheese can cause digestive distress, similar to ice cream, but cheese can be a great treat. Cheese is a good source of protein, calcium and essential fatty acids. Your pet is sure to thank you after this delicious snack. 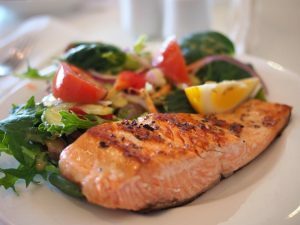 Fish, especially salmon, is a good source of protein for cats and dogs. Salmon specifically provides Omega-3 fatty acids which make your dog’s coat shiny. Your pets are sure to devour any delicious fish scraps from your plate. Always make sure fish is thoroughly cooked and all bones removed before serving to pets. Dog owners have recently become wary of feeding their four-legged friend peanut butter because of xylitol, an artificial sweetener toxic to dogs. Not all peanut butter contains xylitol, however, so it’s important you read the label on the back of the jar. The ingredient list will specify if xylitol was used. If not, peanut butter can be a great treat for your dog in moderation. Peanut butter provides vitamin E, vitamin B and protein. We often feed our animals similar snacks and treats. While dogs are okay to eat peanut butter in moderation, cats should not. It is not toxic to cats, but peanut butter contains fat that can lead to weight gain, obesity and potentially diabetes. Not only can it negatively effect their health, peanut butter can also stick inside mouths and cause felines to choke. If you do feed it to your cat, make sure it is done safely and in very small quantities. Not all animals react the same to each food. Some might have extreme symptoms while others might not experience any at all. In any case, it’s always better to be safe than sorry. If you realize your pet has ingested any of the foods they shouldn’t have, seek veterinarian advice immediately. A veterinarian can instruct you on what to do at home and whether or not you should bring your pet into the clinic.